The West End Hotel, Downtown Dallas/Convention Center of Texas offers 309 newly renovated guest hotel rooms located in the heart of downtown Dallas, Texas. This Texas hotel is in the Historic West End District with many lively restaurants and entertainment venues. With panoramic views of downtown Dallas, Texas, we are the perfect location for business travel or pleasure. 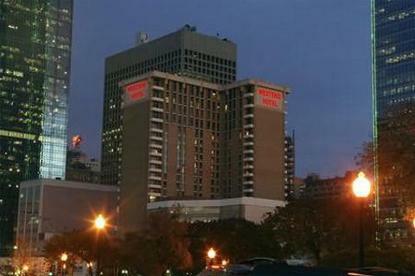 For those attending a business conference or a social event, The West End Hotel, Downtown Dallas/Convention Center is located within walking distance to the Dallas Convention Center, Bank of America Tower, American Airlines Center, JFK Sixth Floor Museum, Dallas World Aquarium, Earl Cabell Federal Building, EPA, and corporate headquarters of Blockbuster, TXU, Southwest Securities, and SBC. The West End Hotel, Downtown Dallas/Convention Center is happy to announce that we offer a complimentary full breakfast. Our hotel is excited to provide complimentary wireless internet access Other hotel amenities at the West End Hotel, Downtown Dallas/Convention Center of Texas include roof top hotel pool, exercise facility, complimentary local and 800 calls, voicemail, hair dryer, full size iron & board and coffeemakers. Last but not least, the West End Hotel, Downtown Dallas/Convention Center offers exceptional service with the most dedicated staff in downtown Dallas, Texas. Call the West End Hotel, Downtown Dallas/Convention Center directly for special discounted rates for your group. Book your hotel room on www.westendhoteldallas.com, and have the confidence that you are receiving the lowest internet rate (guaranteed) With no booking fees. Please note it is a non-smoking hotel.